Perhaps a tad early to start this thread, but whatever. Instead of dividing the 16 teams into four groups of four, and then have the three best from each group merge with the three best from some other group to play three more games before deciding the quarter final matchups, this time they're going with two groups of eight. This means all teams will play seven roundrobin games instead of six. It also means that the worst teams, the ones that were eliminated after three round robin games already, now get to play more games, which supposedly will help them develop. An interesting new feature is also that games will be played in Finland as well as in Sweden. Sure, this was tried in the 1930 tournament already, when games were split between Chamonix, Switzerland and Berlin, Germany, but otherwise the World Championship has always been held within one country. What happened was that after it had been decided that Finland would host the games in 2012 and Sweden in 2013, the two nations decided that by splitting the roundrobin games between them both years, and let both Sweden and Finland play all their games at home, they could generate more interest and sell more tickets. Quarter finals will be played within the groups, but then the semi finals, the gold and the bronze game will all be played in Finland in 2012 and in Sweden in 2013. Finally, last year the NHL regular season ended on April 4th, and the first playoff round ended on April 27th. The World Championship was held between April 29th and May 15th. 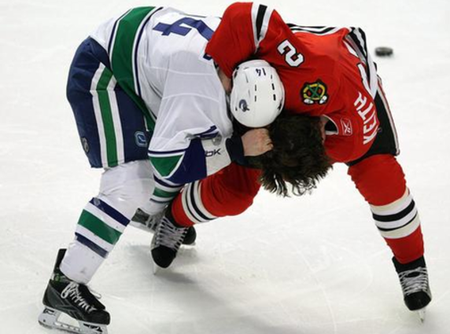 This year the NHL regular season ends on April 7th and the World Championship is held between May 4th and 20th. This means that the Stanley Cup quarter finals should have ended before the important games begin over in Helsinki/Stockholm, and could mean that there will be more and better NHL players taking part! Looks like Finland may be able to field a dream team this year, which of course is great news for the host nation. Several of their biggest names will be available as they play on NHL teams that are likely to miss the playoffs. Miikka Kirpusoff (Calgary) and Nicklas Bäckström (Minnesota) make for a great goalie tandem and then there's Teemu Selänne, Saku Koivu, Toni Lydman and Niklas Hagman (all Ducks), Mikko Koivu (Minnesota) who captained the gold winning team last year, Olli Jokinen (Calgary), Jussi Jokinen and Tuomo Ruutu (Carolina) and Joni Pitkänen (Carolina). Not bad. Sweden seems to have slim pickings so far. Omark, Enström, Pääjärvi and Landeskog are probably available, but most of the better Swedes are playing for teams that are playoff bound. Maybe Bäckström if he recovers from his concussion. Still, the championships don't start till May 4th, so we'll have time to wait for the first round eliminations before finalizing the roster. LOL! 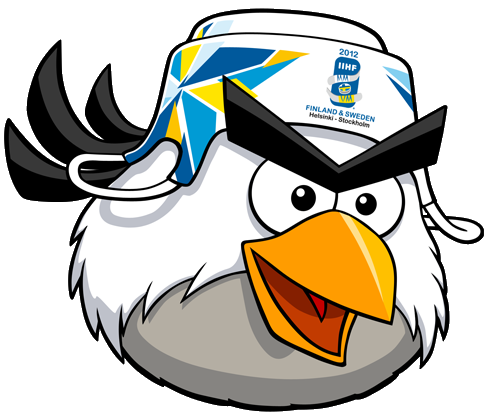 Gotta love the official maskot for the 2012 games; Hockey Bird! Last edited by Per on Tue Apr 24, 2012 1:16 am, edited 1 time in total. Getzlaf, Perry and Stamkos have supposedly agreed to play for Canada. This could be a pretty good tournament. Jhonas Enroth, Buffalo, Loui Eriksson, Dallas, Victor Hedman, Tampa Bay, Gabriel Landeskog, Colorado and Linus Omark, Edmonton will represent Sweden at the world championships. The roster is still very thin as Pär Mårts is waiting till after the first round of the Stanley Cup playoffs to finalize it. Looks pretty good, except for the goaltending. Seems Stamkos has bowed out due to a shoulder injury. Iirc, you're allowed three goalies and twenty skaters on the roster, so there will be additional names, but probably not till the first round of teh Stanley Cup playoffs has been decided. Last edited by Per on Thu Apr 12, 2012 1:44 am, edited 1 time in total. Not as impressive as Canada's roster, but there are a few decent players there. Could add a few Canucks on there if they fold in 4. SKYO wrote: Could add a few Canucks on there if they fold in 4. Well, Jannik Hansen has agreed to play for Denmark. Not the strongest team in the tournament, so his arrival is definitely good news for them. Other prominent Danes that will show up are Lars Eller, Philip Larsen and Frans Nielsen. Påhlsson has already bowed out and won't be representing Sweden. Still waiting for answers from the Sedins and Edler. Jonathan Ericsson and Henrik Zetterberg are supposed to play. Zetterberg still waiting for a clean health bill though. Edit: Zetterberg and Franzén have now been confirmed. Per wrote: Sedins won't come. And both Douglas Murray and Nicklas Kronwall have declined to come, which is a real shame now that Duncan Keith has agreed to play for Canada. I really think I could have enjoyed seeing him get Kronwalled (TM). Per wrote: Edler's not coming either. Kronwall changed his mind, he's coming! And so is Silfverberg, Stålberg, Krüger and probably Erik Karlsson as well. I think this team is beginning to shape up! Team Canada is looking pretty stacked. Burrows and Keith... on the same team? ?